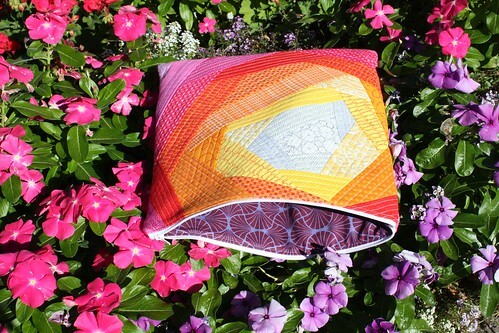 Since returning from Sewing Summit, three things have been on my mind: Swaps, Stash and Swag. I have never participated in a sewing swap before so I was really excited to join in on the secret pouch swap before arriving at the Summit. Since it was my first swap, I figured I might as well take the opportunity to try my hand at QAYG for the first time. While it took longer than expected, I absolutely love the result and I think my partner liked it too. 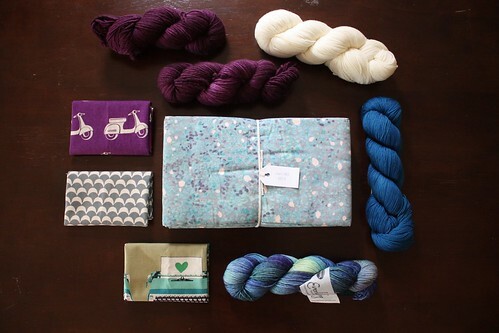 Here's a lovely stack of FQs that I picked up during the Shop Hop and have since added to my stash. I also picked up three echino canvas linen prints on the shop hop, and two Malabrigo skeins of yarn for a future scarf. 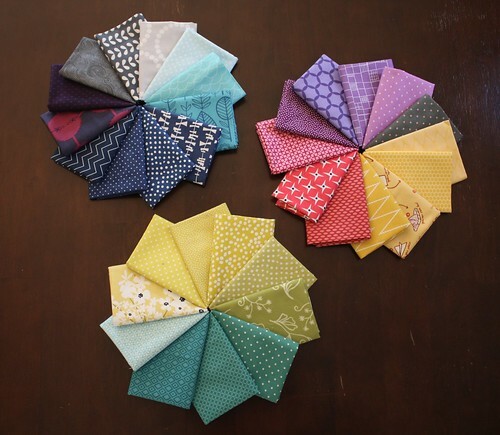 Since I was meeting up with Amanda at Sewing Summit, I took the liberty of shipping her a few things before hand to take advantage of cheap US shipping - so I ordered some Nani Iro yardage and a few skeins of sock yarn. I picked up a yard of a random fleur de lis burlap print without a specific project in mind, but gosh it was so pretty and for $5.99, I knew I'd never find something this unique for such a great price at home. 7 yards of this gray crown print also came home with me, enough for a dress and baby quilt back. 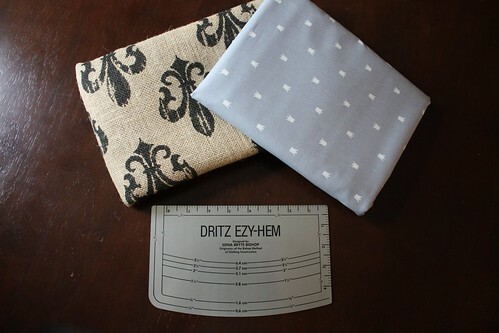 I was thrilled to come across this ezy-hem tool as well, I'm really hoping this speed up my future garment projects. Lastly, I brought home nearly enough yardage for a future winter/Christmas quilt. I'm considering a gray on white snowflake on the top, and this tone-on-tone holiday raspberry coloured print for the backing. I'm looking forward to slicing into this stack next month! 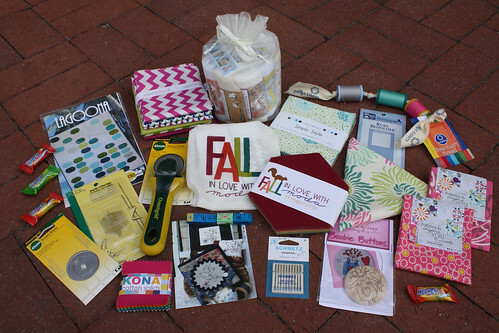 The third topic in this post is all about the Sewing Summit swag. I bring this up because I felt it was important to say a huge thank you to the supporters and sponsors behind our awesome weekend. I feel incredibly blown away and completely spoiled by the generosity of so many sponsors. 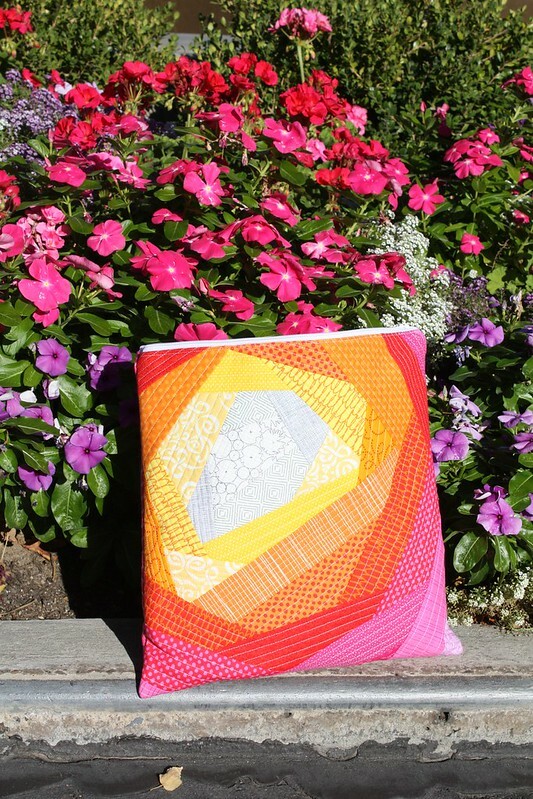 A huge thank you to: Omnigrid, Pellon, Coats and Clark, Heather Bailey, Art Gallery Fabrics, Pine Needles, Material Girls, Quilter's Haven, and the Salt Lake Modern Quilt Guild. Three looming quilt finish deadlines are standing in my way of slicing into that holiday stack so I better get back at it! 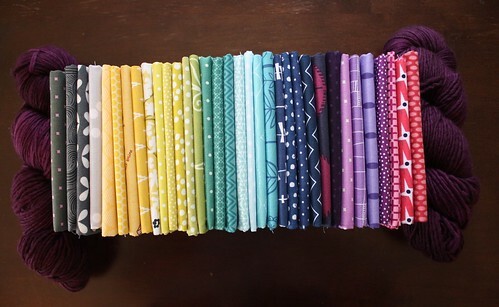 I hope I'm not the only one who brought home a ridiculous Sewing Summit haul! 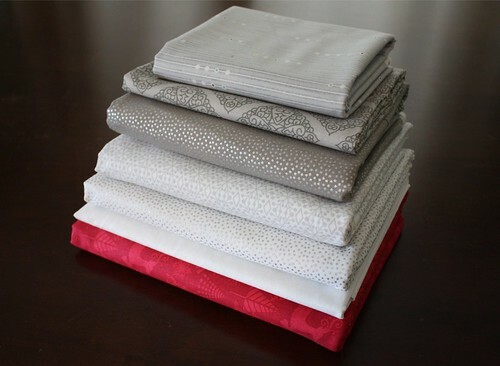 I really like the grey's you choose for your Winter quilt and that bright color for the back. Cozy and modern! That pouch you made was super cute too. What does 'QAYG' stand for?